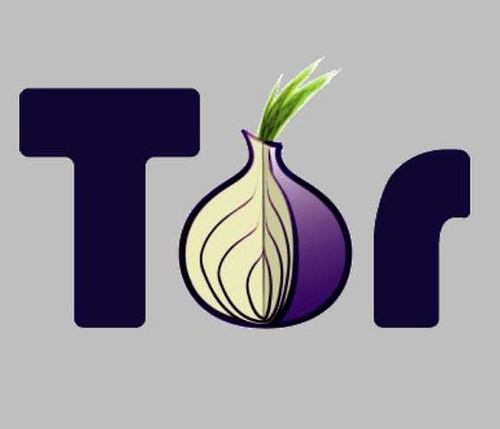 Tor is free Open source software that allows for anonymity and privacy while browsing the web. Many websites collect website traffic statistics that include your IP address, location, areas of websites that you visit, the site you came from as well as the site you go to afterward. Tor works by improving your security by making this information from the software on the website that tries to collect it. This is done by moving all communication through a network of volunteers around the world so that anyone keeping tabs on a particular internet connection will be unable to discover your real physical location. Tor is available for web browsers and instant messengers. Tor is especially convenient for bloggers, human rights activists, soldiers and persons in countries with strict media restrictions or blocked websites. It also works for persons who are travelling and are trying to access content that may be blocked outside the United States. The network grows as more persons volunteer to run relays through which information can be bounced. Browse the web anonymously with Tor. Visiting websites that use Java or flash will expose your identity even if you are using Tor. Browsing may be slower when using Tor depending on how many persons are using the network at a time. Some websites will recognize that you are using Tor to mask your identity and may not allow you to browse their site until you have turned it off. There isn’t really any way around this, it is the choice of the website owners especially in instances where the content is protected/ copyrighted or restricted for use in certain countries etc. Free services that allow browser anonymity will usually go out of business after a while if funding isn’t coming in. They may also occasionally have downtime when there are upgrades etc. Other options that will hide your identity online / hide your IP address include: free VPN, UltraVPN, Alonweb, CyberGhost and Hotspot Shield. Charlie is a free lancer writer and content builder of many Technology sites and he is sharing his experience regarding how to use TOR. This Samsung PN60E8000 plasma TV review is about the most popular and feature plasma TV that is popular in the market, it is a full featured TV that is not just a “monitor” but a smart TV that can pick up voice and hand gesture but can log in to the accounts just by the facial recognition. It includes a camera, microphone, includes the upgradable dual-core processor, a high speed web browser. The box is also full of accessories which include the second touch pad remote, also the 3D glasses it also includes the Bluetooth IR blaster. These are all of the most sought after features that are asked in a plasma TV and an attraction for everyone. The picture quality of the plasma TV is very good. Comparing the picture quality to the other models in the company we can say in the Samsung PN60E8000 customer report the same picture quality can be achieved in a lower price if you buy the PNE6500. The PNE6500 has the same picture quality as the SAMSUNG PN60E8000. The color of the stand is black unlike the previous gray colored stands. It is a chrome plated stand and it is also splay legged. This frame is actually thinner than the previous stands it is also sleeker than the previous stands. This sleeker finish adds a touch of class to the TV. These 2012 TV menus of Samsung Company look the same as the previous years and are very user friendly and user can easily find his way around the menus. The interface of these menus is the same with bright opaque blue with the rounded edges and the text size is easily readable. There are explanations of the main menus and fast response timings are observed in the constant animations. The picture quality is one of the best in the Samsung PN60E8000 series, there are a new level of black colors which makes the picture a way better, resulting in accurate colors, it also has a good video processing and a real depth 3D. The box is also full of accessories which include the second touch pad remote, also the 3D glasses it also includes the Bluetooth IR blaster. 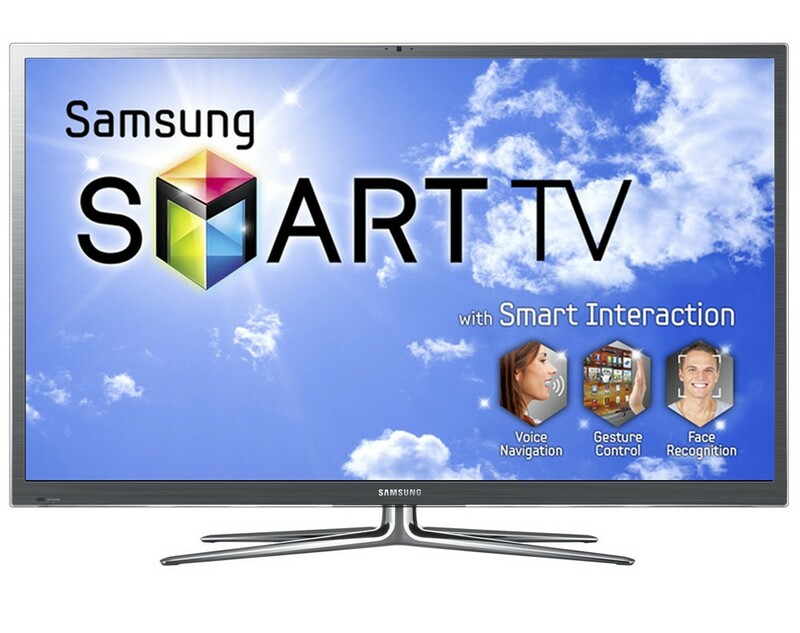 It has motion and voice commands which provide the Smart TV platform. This is one of the best designs of plasma available. The company charges very much for the additional features added and the features are un necessary and not included to its full implementation. The shadow details is not competitive to its competitions plasma TV’s, the bright room performance is also not competitive. The output of maximum output is also dim. In this Samsung PN60E8000 customer report we have seen that these series come with good picture quality, but the most attracted clients are the ones who like all the cutting edge gadgets in their plasma TV. This post is written by John Lewis and he works at PriceCollate as a writer. You can visit pricecollate to find and compare various type of mens basketball shoes at great prices. Are you looking at getting your product prototyped? Bringing a new product to market is always exciting and turning that dream from an idea into something that you can hold is actually fairly easy. Below I will go through the steps that the pros use to get their product prototyped. There are many approaches that you can take during the design phase. Typically rough sketches combined with some 2d and 3d modeling can be done to determine dimensions. Also take note of certain tolerances that your cnc or rapid prototyping machine may have. With cnc machines, you have a much larger tolerance, but for a rapid prototyping machine, you could go down to less than a millimeter depending on the machine. 3d CAD applications and programs can be expensive. I recommend Solidworks, but Solidworks can be highly expensive. Alternatives include Concepts Unlimited, Rhino, Pro Engineer and others. You don’t need anything too fancy unless you are modeling something really complex. What you need to focus on is export options. Depending on the machine you will be using, there are different file formats that are accepted. Talk to your cnc technician to find out if you need an IGES file or an STL file. It varies depending on the machine and software that the cnc programmer may use. Everything seems to be cnc cut or routed these days. There are other options including rapid prototyping for smaller objects too. The main difference between cnc machines are the different amount of axis each may have. 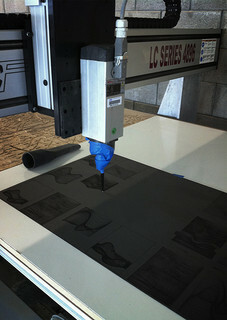 A 5 axis cnc machine is a lot more flexible compared to a 3 axis machine. Then there is the cutting or routing type. Many use a traditional drill type piece, but you can now get laser, plasma and even water cutters. Every project is different and will require a different approach and thus a bit of research before beginning. This is probably the most important part of the process. Always check surface quality before and after finishing the project. If you are getting someone else to paint your product, make sure you pay them afterwards. This allows you to inspect the project first before committing to pay. Cnc can be cheaper depending on the surface finish, so make sure you are prepared to put in more time finishing the product if you go a bit cheaper during the cnc process. Remember to prepare wel and to keep a close eye on all stages of your project. Give specific instructions and you should be well on your way to bringing your product to reality. What tips do you have for getting your product prototyped? About the Author: Edwin is an experienced designer writing on behalf of PLCTechnician distance education program for PLC technicians. Edwin has a passion for technology and great design. Did you heard about business apps on iPad? If not, have a look at this top iPad business apps. iPad allows to review and to edit your office documents like MS Office and iWork files. Create beautiful presentations, operate spreadsheets, PDFs and easily access your files on iPad. When you are out of the workplace, iPad can let you connected, know whether you cross your town or across the world. Access your PC to look up for documents or information. You can even attend online meetings with colleagues, VoIP connectivity with iPads. Organise your notes, remainders and tasks. Create and deliver your project presentations at any time and anywhere. iPad apps can display rich IT dashboards, manage servers, network resources and all other tasks. With iPad you can use your office computers, mobiles and solve all official issues. With several amazing business apps, the new iPad have a new look in managing all the tasks. Transform the way you work with iPads apps instead of paper-based processes. With real-time information and efficiency in work, the iPad apps are more affordable. Transform your way of working with amazing iPad business apps. The Apps store is added with plenty of new apps day-by-day and there is no limit to which iPad can do most of your business tasks. 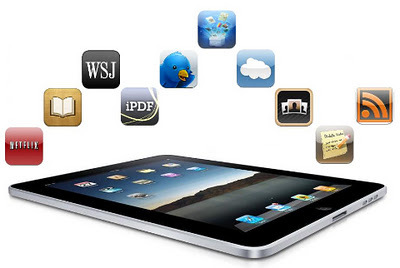 Let us see how iPad apps can make your business work easier in the following article. Keynote is the most highly effective presentation app ever developed for a mobile gadget. It is really a wonderful app that you know and really like on the Mac, but absolutely modified from the bottom to up for iPad. This particular app is used for document presentations. Save the PowerPoint file as PDF format, show the presentation on projector with this app. It directly detects the projector and through VGA cable it sends the signal to the projector. The leading app for Search engines Statistics, Statistics App, now debuts on the iPad as Analytics HD! See maps and reviews like you have never seen them before, and discuss them in a conference with complete display charts! The apps that make up iWork are parallels of the primary MS Workplace tools. Pages do Microsoft Word processing, numbers do Microsoft excel works, keynote do PowerPoint slide presentations. The iWork app can transfer information from iWork '09, as well as from MS Office that enables professionals to take important information and records on the road to evaluate, modify, or show them. Evernote is an amazing note-taking app that provides mainly as images, sound, movie and written text syncing device. Most of all, it allows you tag everything and extensively look for it later; everything is stored in the cloud. All of them allow you to maximize the iPad's mobility and comfort -- and they will make you manage your work life easier. Plus, if you actually see that you are getting more work done, you might able to expense them. The author is a professional blogger who is very much interested to write mobile related articles like latest gadgets, mobile news, reviews, tips to sell mobiles, ways to recycle mobile and many more mobile topics. For more information on mobile phone recycling, click here. could do a bit to add to the network support under. cost – effective value to tender.